We’re delighted to have partnered with Collective Campus to create Australia’s first accelerator program for property technology start-ups. We found them a great fit for our business...the can-do attitude displayed by Steve, Sean and the team from day 1 was a standout. They brought together the right network, brought the focus, energy, structure and support mechanisms to make this program a remarkable success not only for Charter Hall but importantly for the participating start-ups. Steve Glaveski continues to be a strategic partner in innovation for myself and others at Charter Hall, has given so much of himself into this process and we look forward to the next iteration of our exciting innovation journey. Watch this space! Charter Hall wanted to gain exposure to emerging talent and solutions in the PropTech space so that it could differentiate itself and deliver better outcomes for its clients. Collective Campus developed a custom PropTech accelerator program, identifying, recruiting and nurturing four (4) startups through a 13- week program. We made a concerted effort to select startups that aligned with Charter Hall's strategic objectives and its different business models across its industrial, retail and office divisions. We also incubated one project team comprised entirely of internal Charter Hall employees. 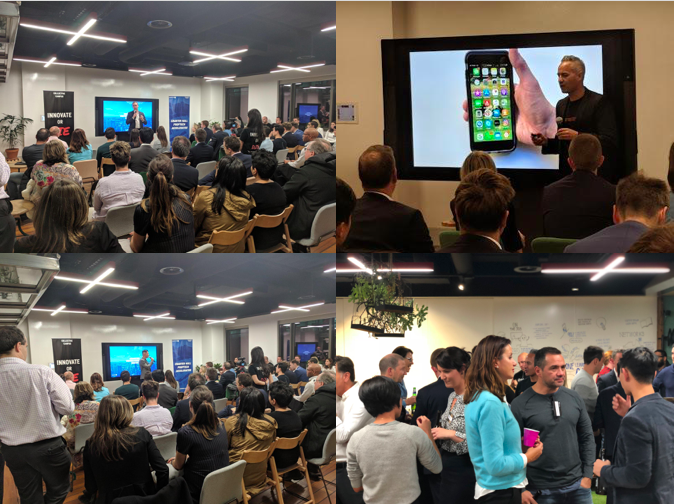 We also recruited a number of high profile PropTech mentors and ecosystem partners such as Amazon Web Services, Zendesk, MYOB, Hubspot and IBM. The program was one of the contributing factors that elevated Charter Hall to #14 on the Australian Financial Review's Most Innovative ASX200 Companies list, and generated a lot of mainstream media attention before and during the program.All four of the startups that graduated from the program developed significant progress throughout the 13-week program, striking partnership agreements and pilot programs with Charter Hall, as well as a number of other commercial real estate players in the market. They continue to work together post the program's conclusion.The startups that we selected included Estate Baron (property investment crowdfunding), Bricks & Agent (property management streamlining), InspaceXR (virtual reality tours for architecture firms and real estate agents) and Snaploader (3D mapping of 2D CAD files). "We’re delighted to have partnered with Collective Campus to create Australia’s first accelerator program for property technology start-ups. We found them a great fit for our business...the can-do attitude displayed by Steve, Sean and the team from day 1 was a standout. They brought together the right network, brought the focus, energy, structure and support mechanisms to make this program a remarkable success not only for Charter Hall but importantly for the participating start-ups. Steve Glaveski continues to be a strategic partner in innovation for myself and others at Charter Hall, has given so much of himself into this process and we look forward to the next iteration of our exciting innovation journey. Watch this space!" Adrian Coleman placed number 23 in last year’s CIO50 list, rising 20 places to number 3 in 2018 due largely to his leadership of a centrepiece innovation, the Charter Hall PropTech Accelerator program. This was initiated as a response to the property group’s growth and long-term sustainability. Read more about Adrian Coleman here.